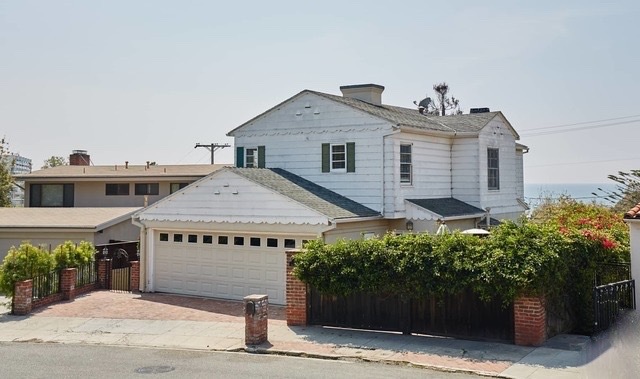 One of the original Traditional houses in Santa Monica Canyon with ocean views, this is a great opportunity to create your dream home by the beach. The private gate opens onto an entry porch that welcomes you to the main floor of this three level home. The ground floor offers a formal living room with wood floors and fireplace, dining area, and an open kitchen family room with granite center island and a breakfast area overlooking the verdant canyon setting. Upstairs there are 3 bedrooms and 3 baths including master suite with an exterior porch and ocean views. Other features include a three car garage and a lower level with office, powder room, and family room that opens on to a grassy yard with outdoor spa. Located in the Canyon Elementary School district and close proximity to Rustic Canyon Park, local restaurants and the beach.